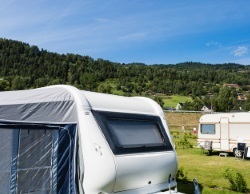 PGF Caravan Services travel around and Gloucester to provide both residential and commercial caravan owners with the repairs they need at affordable costs. If you need caravan repairs in your local area, you know who to call. Using our experience and expertise in the caravan industry, we are able to provide reliable, trustworthy and friendly caravan services at competitive prices. Our caravan repairs can be carried out at our site, or at your site so that you can get easy access to the repairs you need in . With a fully mobile repairs service you never have to worry again about getting caravan repairs you can rely on. All of the work and services we provide are guaranteed and carried out by members of the Mobile Caravan Engineers Association. As a fully comprehensive service from caravan repairs to various other services you can rely on PGF Caravan Services for everything you need. Get in touch for caravan repairs in by calling 01452 553 288. Covering Gloucester and the surrounding areas, you can trust our team to bring your caravan back to life in no time at all.